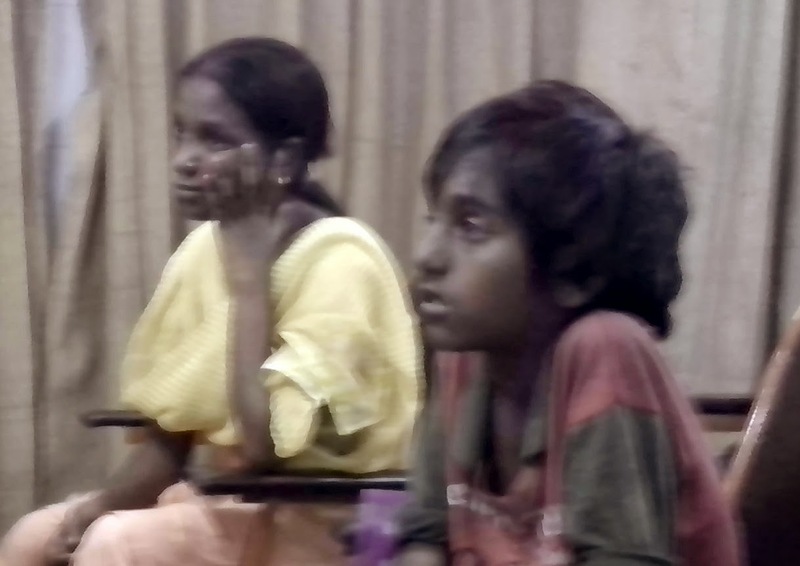 At the public hearing shought to suggest how the ICPS is allegedly not being implemented by Gujarat officials, DHRM also introduced several children who were either ill-treated at juvenile homes or were victims of child labour. Dipak Dabhi, a tribal activist from Banaskantha district, presented the case of a child worker Kamla (name changed), who ran away from a Bt cotton field, where she was confined and forced to work as a virtual bonded labourer. “She managed to run as sh was educated till 9th standard and thought this would get her jobs, but was raped hooligans”. Then there was the case of 12-year-old Suresh, who works as a tea stall worker in Chandkheda in Ahmedabad, whose parents are beggars, and he was implicated in a theft case and kept in a cell in the juvenile home amidst teenage murderers and rapists. Also introduced was physically challenged Laljibhai, a former manual scavenger from Dhandhuka town in Ahmedabad district, whose child was refused admission in Ahmedabad only because it was sought in the middle of the session. “When we intervened and showed the authorities the rule, the district education office (DEO) issued instructions to admit the child”, a DHRM volunteer said, wondering if there were similar cases also. When asked for reaction, a flabbergasted senior government official present at the hearing told Counterview, “There is a need to look into these issues. The children must be helped, and every effort must be made to ensure that they get justice. I ensure, on behalf of the government, that everything will be done to help these children, or whenever we come to know of such cases." On being repeatedly queried whether he considered these as cases of human rights violations and the state was responsible, he said, "These may be considered like this”, and walked away.